After a fun friendly match between all Charlton players, everyone was in great spirits it was soon down to business with the AGM. Spirits were high and the hall at Long Lane JFC was packed to the rafters. Ryan started by thanking all the members for committing to the club and for performing very well this season. Jase got up on the stage to explain about the AGM and explained how it works. Clifford explained about the Clubs finance and it is all positive which is a great thing to see. We are hoping to secure a new sponsor to help fund for our club. We are looking to set up our 2nd team and enter them into EDF League/Cup as well as 1st team. We will enter a local hearing league. We haven’t decided if we will play on Saturday or Sunday. Both of our teams will merge into one to play in this league. We will enter both First team and Second team into the England Deaf Football League/Cup! We are currently looking for a new manager for our first team. If you are interested, get in touch with us. 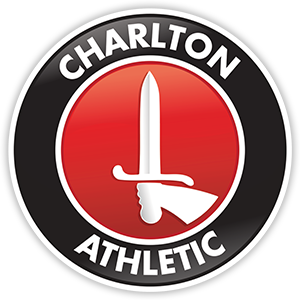 We will continue to train at Charlton Athletic’s Training Ground every Tuesday Night 8pm till 10pm. We will let you know when we will start our pre-season training. It was then time for the voting to start and as predicated Jason Coombes continues as Chairman, Ryan Marshall as General Secretary and Clifford Lane as the Treasurer. Plus a new addition, Lewis McGowan, who will become the assistant Secretary to support Ryan Marshall's increasing workload.